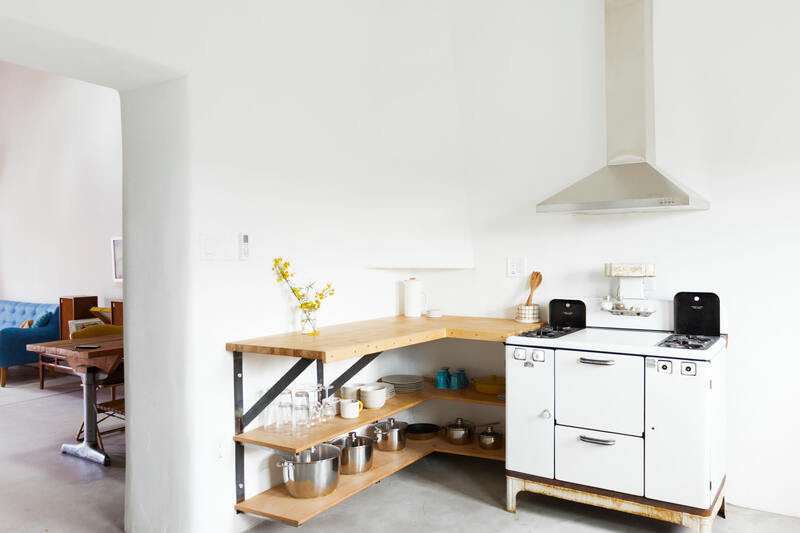 When Krysta Jabczenski and Joel Leshefka purchased their Tucson, Arizona, house five years ago, the couple had a vision for what was once a cluttered moccasin workshop. Together they stripped the whole place down to the bare-bones minimum, tucking away pretty much everything except a few key statement pieces. 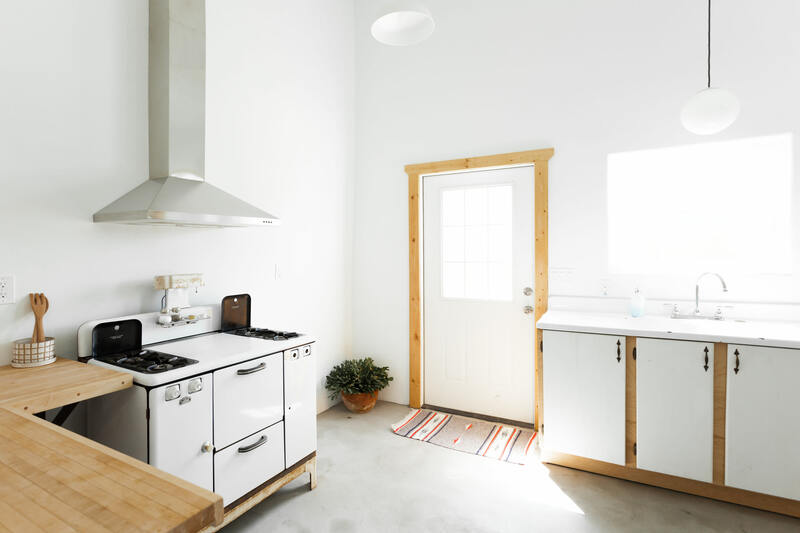 Their aim was to avoid the trap of mimicking the kitschy Southwest interiors of other Tucson homes, sticking to an open floor plan, choosing a select few fixtures, and emphasizing the home鈥檚 abundant natural light. It鈥檚 safe to say they did just that. 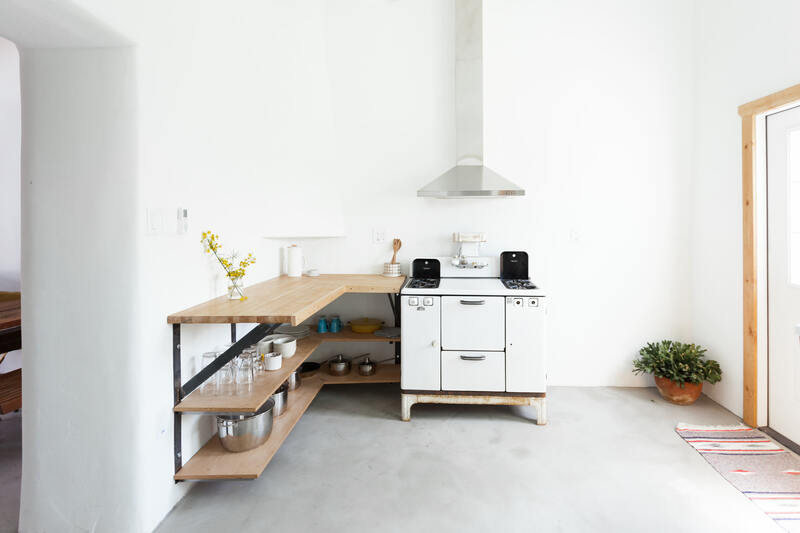 When we came across this particular House Tour on our sister website, Apartment Therapy, we just had to give you a peek into their super-stark kitchen that鈥檚 functional, minimal, and, dare we say, eerily soothing? Something about the space鈥檚 austerity is serene. Let鈥檚 check it out. Doesn鈥檛 looking at this space just make you feel calm? Talk about not leaving things out on your countertops. And speaking of countertops, these are repurposed bowling alley lanes from local haunt Cactus Bowl and were custom built by Tucson-based Midtown Artisans. 鈥淭he finished product was so worth it and way beyond the cookie-cutter stuff you get at most big-box stores in town,鈥� Krysta says. The kitchen is adjacent to the living room, which is separated by the original 1900 adobe walls, the couple鈥檚 favorite element of the house. A bunch of the pieces they do have out (the ceramic spoon holder by Recreation Center and the Yield design French press) are from the couple鈥檚 shop, Prism, in Seattle. 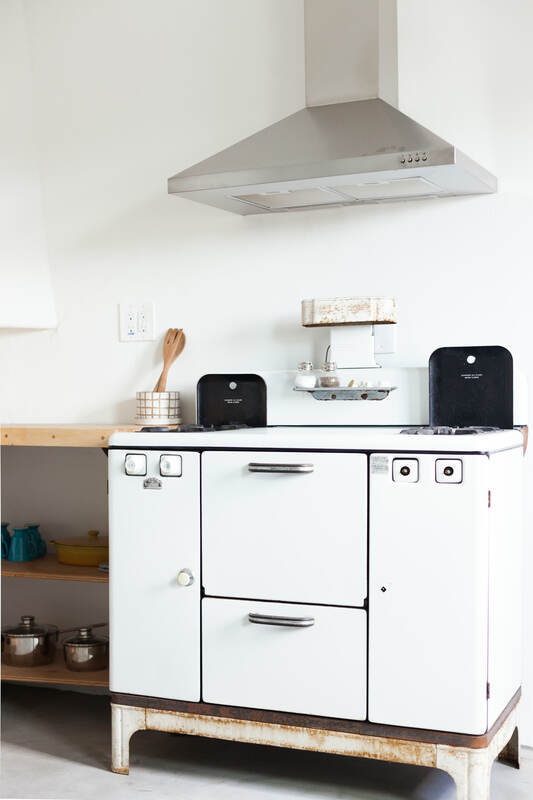 The vintage range was rescued from a garage sale in Tucson, a nod to the couple鈥檚 passion for making the old new again. 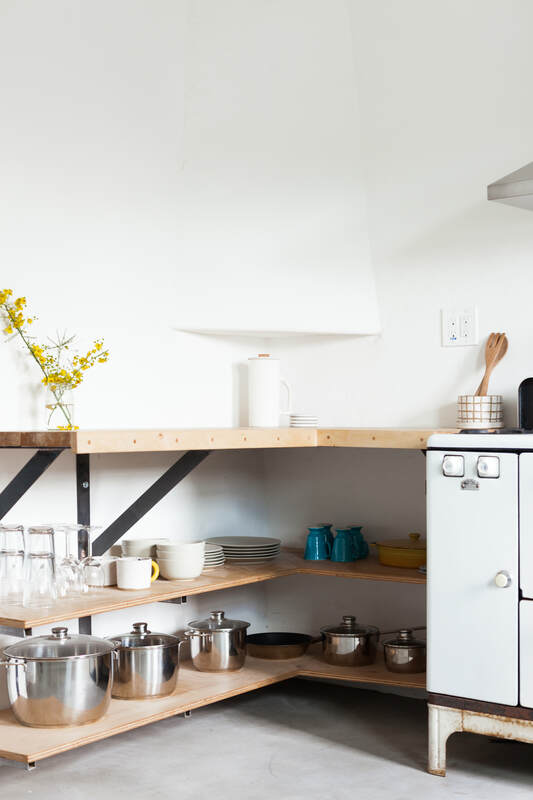 The enamel kitchen sink (below the bright and airy window) was another salvaged piece which sits atop a cabinet built by, once gain, Midtown Artisans. But where do they sit and eat, you ask? 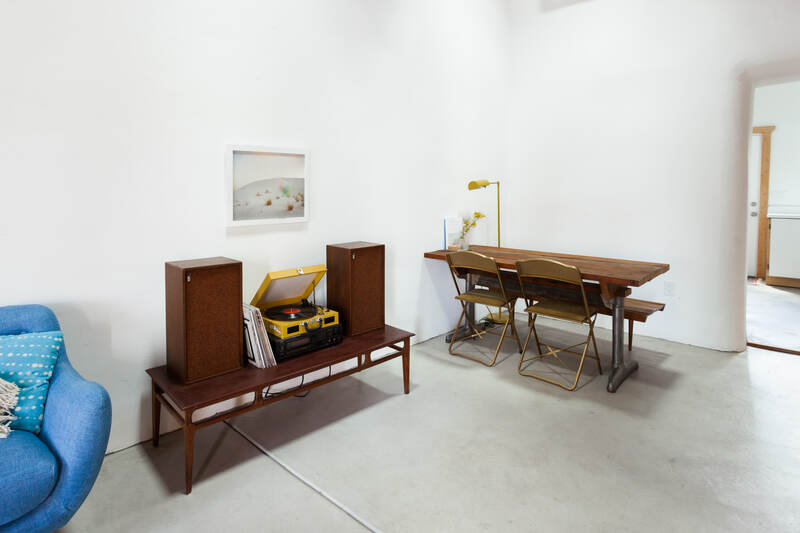 Across the way, in the living room, sits this dining area right next to their vinyl collection, which the couple breaks out while entertaining. 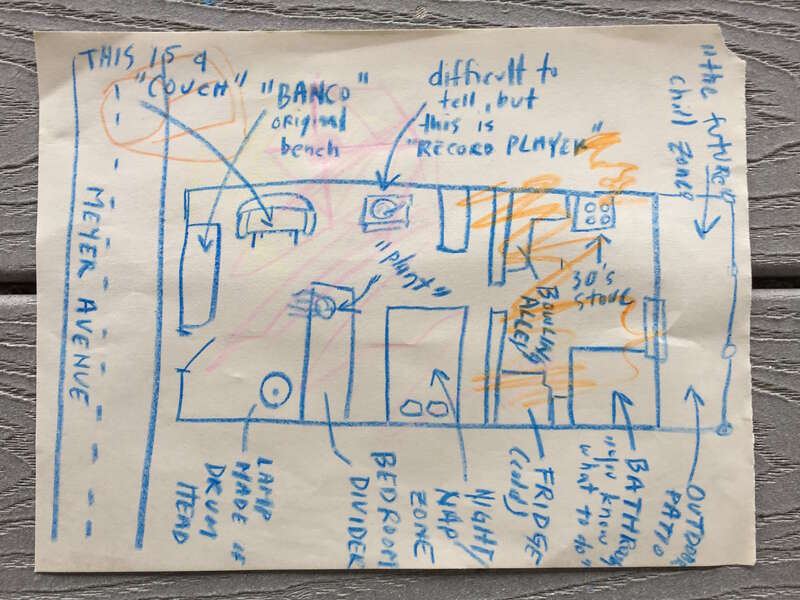 Here鈥檚 the very official floor plan, for all those budding architects out there! As you can see, while everything may be pretty close in proximity, if you have a ton of light and a selective design sensibility, your space can seem really, really big. And eerily soothing.